Hellooooo! Today was another busy day! My work day plan is working out pretty well. I got home around 6:00pm and was ready for something quick and easy. Combine all the ingredients in a bowl and mix around to coat. Add some oil (I used about a tsp of coconut oil) to a pan and heat. Add the potatoes turning every few minutes and cook on medium/high heat til heated and crispy. 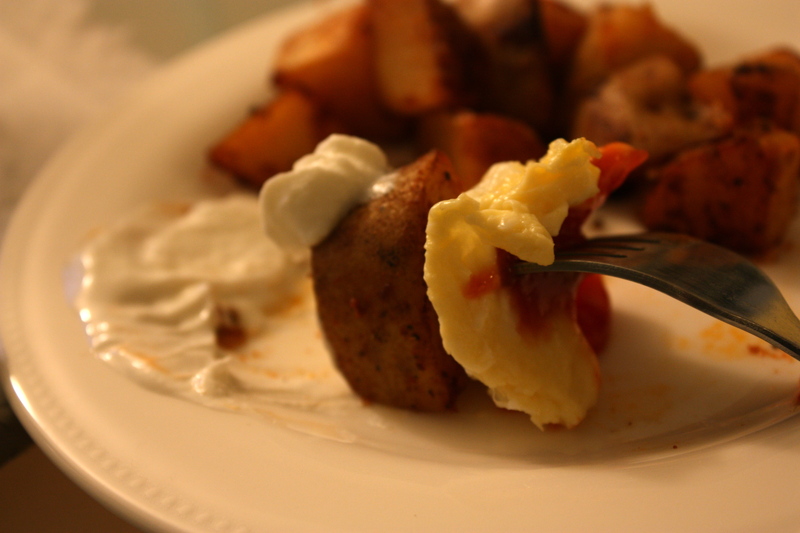 Serve with sour cream (or Greek Yogurt like I did) and eggs. These were picante but delicious and much healthier than any homefries you would get at a restaurant! I bet these would be even better if you let them marinate in the stuff before stir frying. 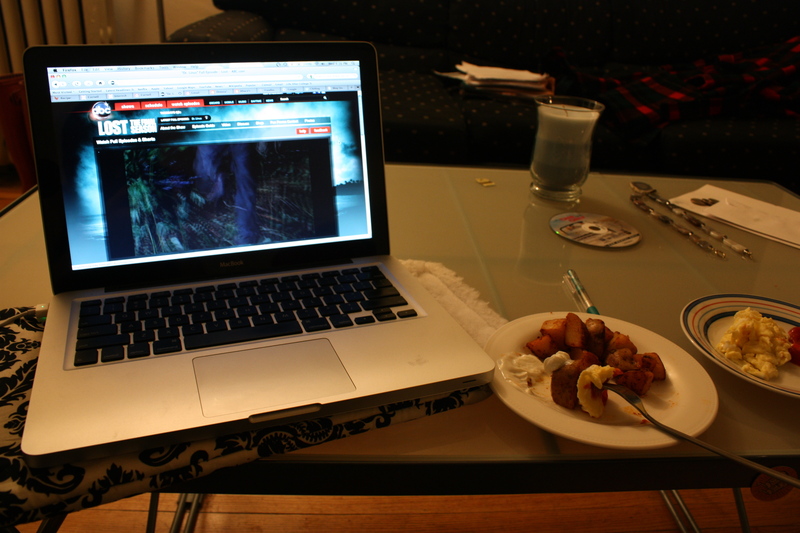 Perfect meal enjoyed in front of the laptop, catching up on Lost! I’ve been behind on the blog reading but hopefully I’ll catch up soon! Hope you’re all having a great week! It’s half way done! Have a great night!! Homefries are the best 😀 I love that you incorporated the left-overs! I always have to use up every bit of food left in my fridge. Just throwing this out there : feel free to come cook for me anytime!! 😛 Look great. Love breakfast for dinner. Looks delicious! I’m so glad that your studying plan is working out, it’s such a great idea! 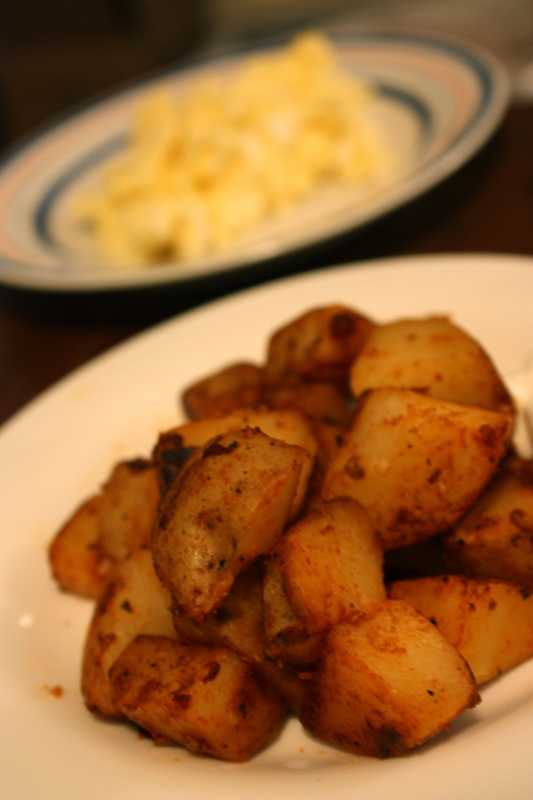 Mmmm I love spicy homefries! Hmmm I have a huge bag of potatoes sitting in my kitchen and nothing to do with them, I may have to try this!! I often wonder if I’m the only one around here who still eats normal potatoes, but it looks like I’m not! They look delicious! 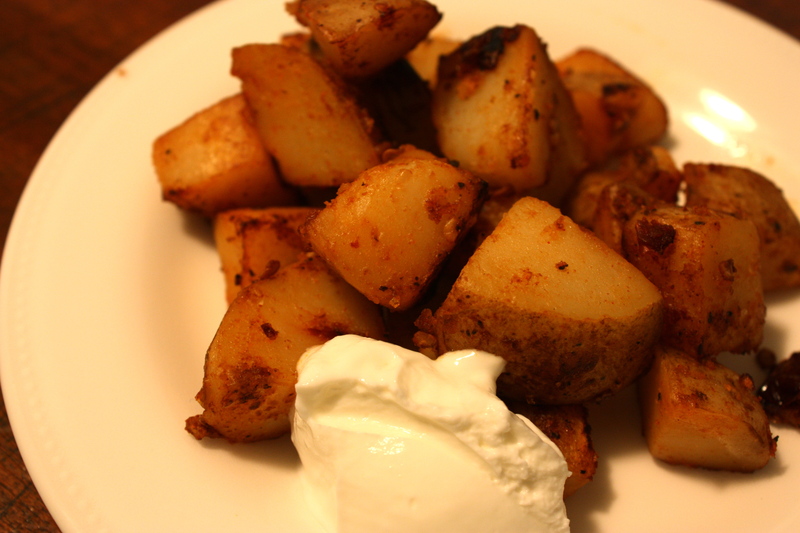 I’ve only just discovered chipotle sauce (I live in Scotland) and love the flavour so much that I am going to keep in mind this homefries recipe of yours, what a great way to enjoy the flavour. holy yum! i’ve never made chipotle anything, but you may have just inspired me to try!